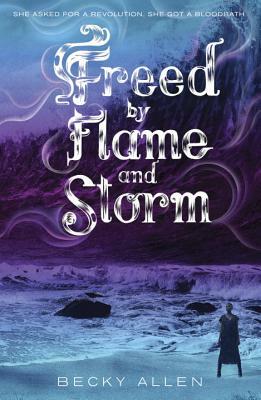 For fans of Tamora Pierce and Kristin Cashore comes the exciting and thoughtful social-justice fantasy sequel to Bound by Blood and Sand. Revolution is nigh, and one seventeen-year-old girl stands at the head of it all. Jae used to be a slave, laboring with the rest of her people under a curse that forced her to obey any order she was given. At seventeen, she found the source of her people's lost magic and became the only person to break free--ever. Now she wants to use her power to free the rest of her people, but the ruling class will do anything to stop her. Jae knows that breaking the curse on her people would cause widespread chaos, even unimaginable violence between the castes, and her caste would likely see the worst of it. Many would die. But to let them remain shackled is to doom them to continue living without free will. How is one girl, raised a slave and never taught to wield power, supposed to decide the fate of a nation?